I”m a big proponent of multi modal learning – a classroom and teaching style that begs / borrows and steals to create a dynamic and “rich” learning environment for students. I firmly believe that with ELL, if you can provide students with an audio option/component for the text they read — they will do much, much better in acquiring language. That is why here – I stress audio. Karaoke, our hundreds of audio stories, the games, the click and play instructional ppts – I try to find and present everything with audio support. 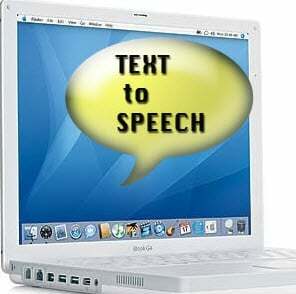 Text to speech can be used so successfully with students. They should get the Deskbot browser for their home computer. With that they can read EVERYTHING on their computer, in English. Just click and install. I also love the more stable VERBOSE. It gives you a toolbar and you just click play and it will read the browser or selected text. NCH is an Australia company that really “rocks” when it comes to any audio application. Check them out if you need any audio stuff at all. More voices and lots of other TTS stuff in our Software folder. Not pure text to speech but Answer Tips allows users to double click any word and get a definiton! Super cool and great for online stories/info. Here’s the classic Text to speech, from the original language teacher himself – Bob Dylan. Love it! Please see this presentation of the best text to speech sites, in my humble opinion. Also here is the direct list…. 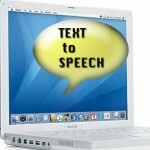 Dave our “Chatterbot” is highlighted there as a great text to speech learning tool. So much is revolutionizing teaching…. Like the Oddcast translation robot, like read the words.com and also the site I just highlighted in Site of the Day, The Tar Heel Reader. I also highly recommend in addition to the DeskBot, the Next Up browser. Installs as a button in your tool bar and just with a click, you can read everything! Much more, even go here to get text to speech capability in your powerpoints! 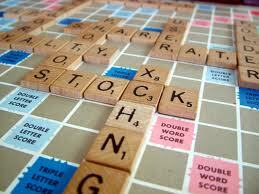 (I”ve attached one of many of our Pictionary ppts. Click on a picture, get speech, use as a guessing game in class!). What’s your view on this, for use in the classroom or self study? What do you use and do you have any sites/tips/applications to share. Let’s talk TTS! It isn’t as hard as this video suggests! And of course we always can use the DAVE bot that I designed as a no typing bot. Simply select the question or response you’d like to use and Dave will reply. Lots of fun. Further, I highly recommend using www.transl8it.com . I even made a Pop song game out of it (more on EFL Classroom 2.0). You simply put in English – like your dry textbook stuff, click and get the text messaging transl8tion. Give the students the text messaging and they de-code and then check with their textbook to see if they got the “write” answers. Lots of fun. Here is an immortal commercial which really drives home the point that this kind of “lingo” is here to stay – Digital Immigrants or not. Previous story Cell phones in the Classroom – Yippee! I really enjoyed this post. You hit the nail on the head with bringing text to speech to help your students acquire the language with not only a better understanding, but also a fun and interactive way of learning. I know that was the best way for me to learn many years ago. 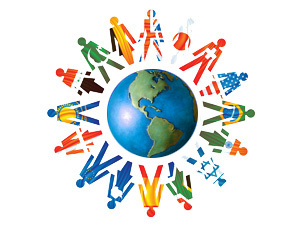 Now there’s a company who specializes in all aspects of English language learning. It’s called neuroLanguage and it’s the industry leader in building unique software solutions that converts any English language content into interactive instructions that can be used anywhere at any time. They’ve teamed up with BusinessWeek to create BSL – Business as a Second Language. – I’d love to hear what you think. I like the layout and look. Should be a big success and there is lots of need on the business end for really effective use of technology for business English. Seems like it is a bit like the higher end audio books for adults. You might also want to think of incorporating a “chatterbot” with a business oriented programming. Especially useful for lower end learners. If it is designed right, users can click business questions/interview questions and the bot will respond. Or vice versa…. The best app to read your books and documents is “Text Speaker”. This app turns your text into spoken words. I use this app for educational purposes. I use it to create audio files of my study PDFs and then I can listen it anywhere, on my mobile also. Give it a try.